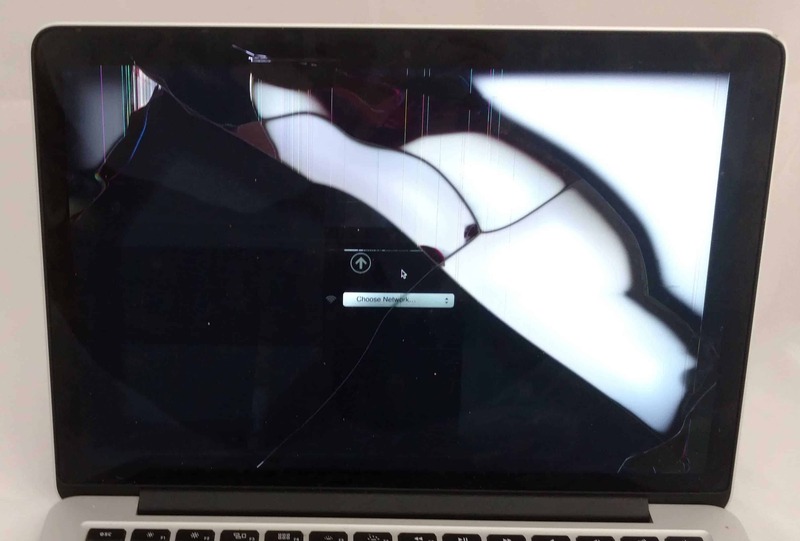 The screen on this MacBook Retina 13 inch was cracked accidentally by the owner. The Macbook’s screen now has cracks running across it diagonally, white and black sections of the screen, and multicolored vertical lines in the corner. All classic signs of a damaged LCD. The weird pattern almost looks like a piece of abstract art or a closeup of a butterfly wing. It might look like the glass is cracked too, but the screen is smooth to the touch, only the LCD underneath is broken. Not that it makes a big difference, because on this model (A1502) we replace both together anyway!